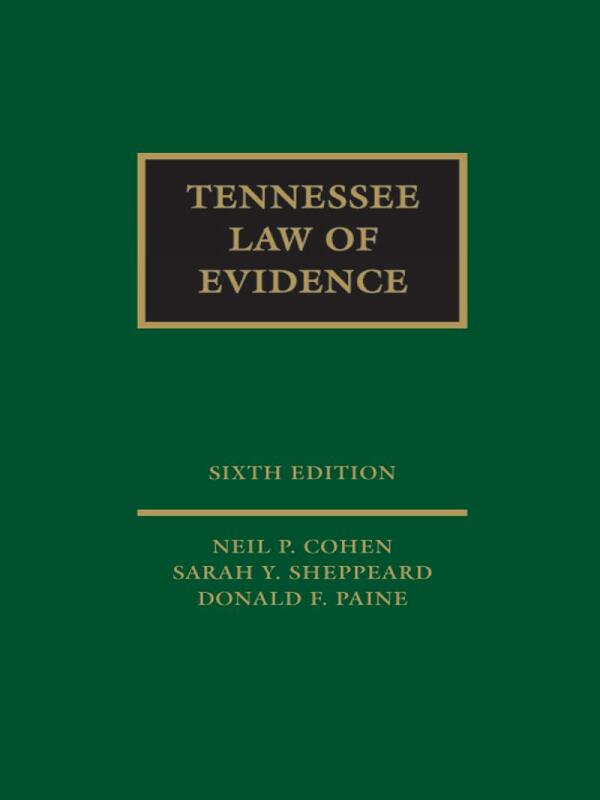 Don't spend another day without Tennessee Law of Evidence on your shelf, from renowned Tennessee legal experts Donald F. Paine, Sarah Y. Sheppeard, and Neil P. Cohen, and LexisNexis, official publisher of Tennessee Code Annotated and the name you already trust for all your other legal research needs. Donald F. Paine is a partner in the Knoxville firm of Paine, Swiney, and Tarwater. 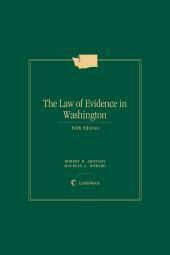 The author of the original edition of Tennessee Law of Evidence, Mr. Paine writes "Paine on Procedure," a bi-monthly column in the Tennessee Bar Journal, and has long been a lecturer for the Tennessee Law Institute, the Crossley Bar Review, and the Tennessee Judicial Conference. A past president of both the Knoxville and Tennessee bar associations, he was a consultant to the Advisory Commission to the Tennessee Supreme Court on Civil Procedure. Mr. Paine holds B.A., M.A., and LL.B. degrees from the University of Tennessee. A one-time Professor of Law, Mr. Paine is Lecturer on Evidence, Civil Procedure, Ethics, and Remedies at the University of Tennessee, where he was named Professor of the Year in 1975 and 1992. 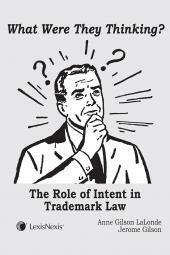 He is a member of the American Law Institute and a fellow of the American College of Trial Lawyers. Sarah Y. Sheppeard is past president of the Knoxville Bar Association. She tries commercial, personal injury, and domestic cases and also practices in the business planning and estates fields. Ms. Sheppeard is an adjunct professor at the University of Tennessee College of Law, an instructor with the Tennessee Law Institute, and a Fellow of the Tennessee Bar Foundation. She is a former chair of the Litigation Section of the Tennessee Bar Association and a former member of the Tennessee Law Review. Ms. Sheppeard is a certified mediator in the U.S. District Court. Neil P. Cohen is Professor of Law at the University of Tennessee College of Law, where he teaches courses in evidence, criminal law, criminal procedure, and sentencing. 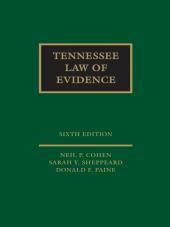 The author or editor of eight books on criminal law, criminal procedure, and evidence, Professor Cohen was given the Outstanding Service Award by the Tennessee Supreme Court in 1995 for his role in drafting gender-neutral versions of the Tennessee Rules of Appellate, Civil, Criminal, and Juvenile Procedure. He also has received awards from the University of Tennessee for Outstanding Scholarship (1995), Teaching (1987), and Public Service (1990). Professor Cohen received his B.A. from Yale, his J.D. from Vanderbilt, earned an LL.M. from Harvard Law School in 1972, and obtained a Diploma in Criminology from Cambridge University in 1976.  A member of the American, Tennessee, and Knoxville bars and of the American Law Institute, Professor Cohen was a consultant to the Tennessee Supreme Court's Advisory Commission that drafted the Tennessee Rules of Evidence, and was an ad hoc member of the Tennessee Sentencing Commission that drafted the Tennessee criminal and sentencing laws.